My sister reads a cookbook the way I read a novel. The last two books I have read are a blend of our two loves. 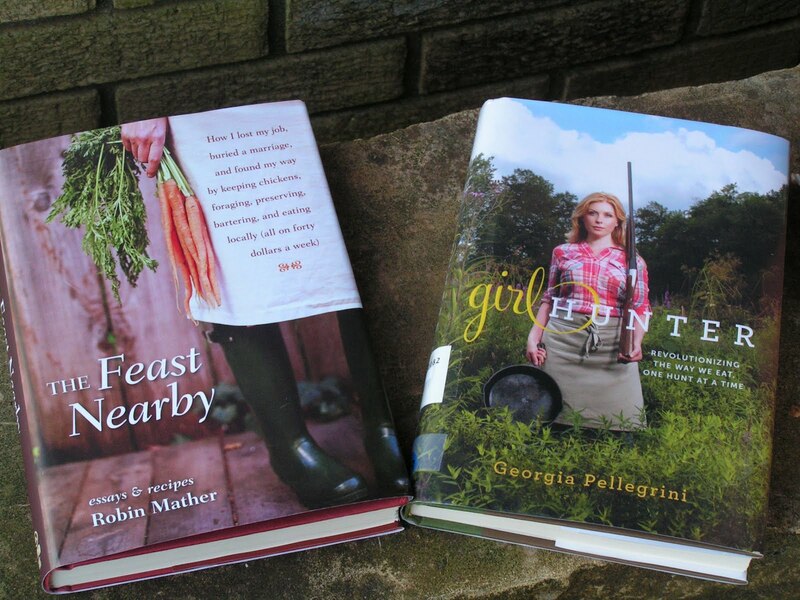 "Girl Hunter" by Georgia Pellegrini and "The Feast Nearby" by Robin Mather are a collection of essays and recipes. Ms. Pellegrini is a French trained chef who decides to hunt her own meat. The recipes sound delicious. I would have to say Robin Mather's book is my favorite because she has good recipes and tips for eating and preserving local food. I have marked some recipes to try soon. I will let you know the outcome! 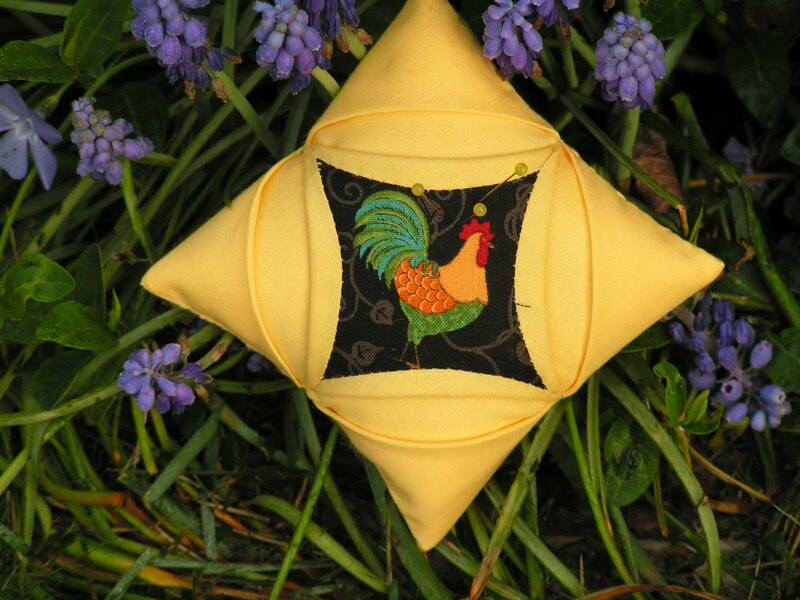 A friend stopped by and I had her look at my quilt. We decided it mushed together on the border. Who would have thought that red would have tamed the beast! 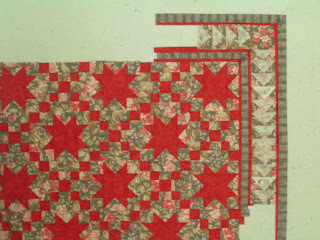 I am working on a sample for a simple Irish Chain basic block class. 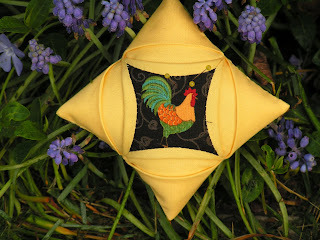 This pattern also has a simple star block. 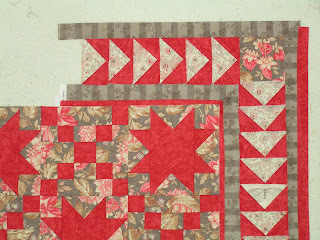 I fell in love with this Moda fabric. It looked great laid out on the counter at the store, famous last words! 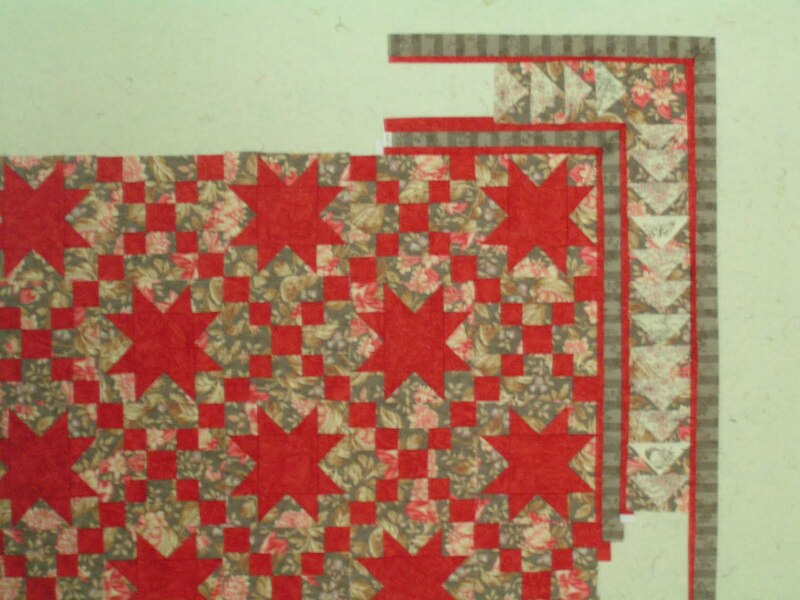 When I added the gray striped border, it wasn't strong enough to stand up to the main part of the quilt. I think adding the narrow red strip on either side of the gray border may be my solution. I am open to comments and suggestions.